›Parkland Collection PILE11167P Seema Beige & Grey Square Transitional Pillow Cover with Poly Insert - 18 x 18 x 7 in. Parkland Collection PILE11167P Seema Beige & Grey Square Transitional Pillow Cover with Poly Insert - 18 x 18 x 7 in. Embodying timeless traditions while maintaining the fabulous and fashionable elements of trend worthy design, these flawless pieces from the Parkland Collection will effortlessly cement itself to your space. 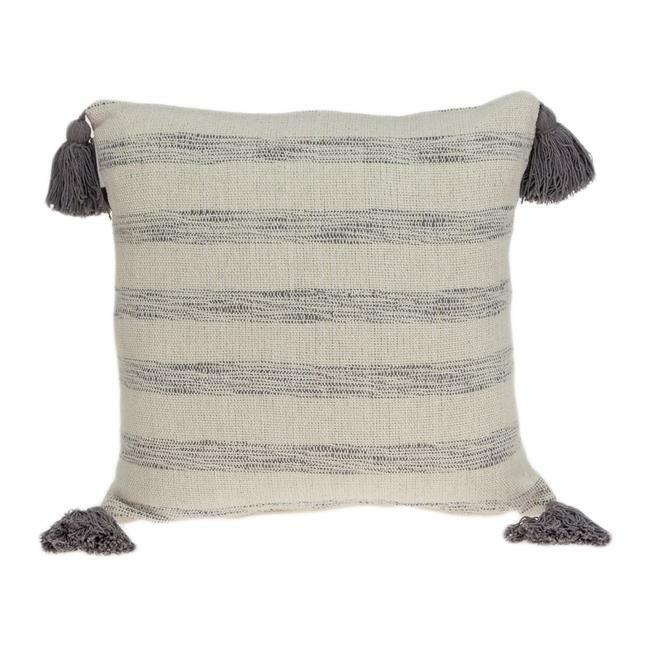 Add a Splash of Color to any room with this Printed Accent Pillow with Tassels. These meticulously crafted pieces will provide a durable and natural sense of style to your space! Surely to become your favorite accent in the room.